I have always romanticized painting en plein air. Know what that is? One thing I love to do is write fun titles on everything. Whether it's for my kids' school projects, or my journal/calendar, or our weekly menu, or on to do lists... I just like to make things LOOK special. If it's pretty, I'm more likely to look at it or pay attention to it. Those of you who know me know about my colorful bullet journal/calendar. It just makes me happy to open it up and have all these colors and fun stuff staring back at me. Anyway, I wanted to give you a quick rundown of how I make one of my fun titles. This is my favorite way to create them and it's super easy. I'm not using anything you can't get at Target or Walmart. Since today is the first day of March, we're going to letter the word "March" in a fun spring green. After I get the word written with my super fancy CRAYOLA MARKERS (heehee), I'm going to go over it with a quick outline. In this instance I'm using a professional drafting pen, but any felt tip or gel pen will work. So far, so good... right? Next I'm going to take a light grey marker and create a slight drop-shadow on the letters. I like my drop shadows to be to the bottom right (personal preference). At this point you COULD be finished. Or you could add a bit of a white highlight to the letters (like I did) with a white gel pen. It NEEDS to be a gel pen because they sit up on top of the paper and whatever else pen/marker/color you have below it. There you have it! A nice bold fun header for whatever you're working on! If you try this technique, shoot me an email or tag me on IG at #alabama.pen.paper !!! 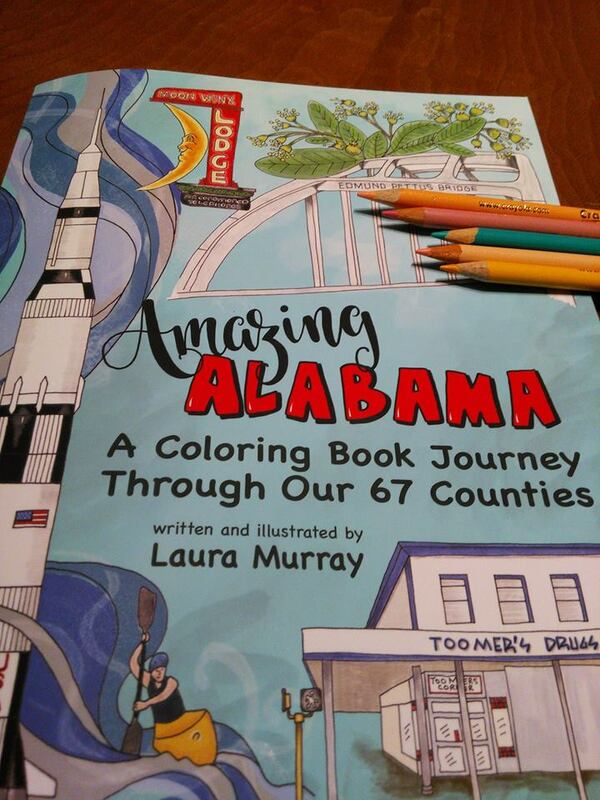 You all know by now that I have published a book called Amazing Alabama - our state's first coloring book. 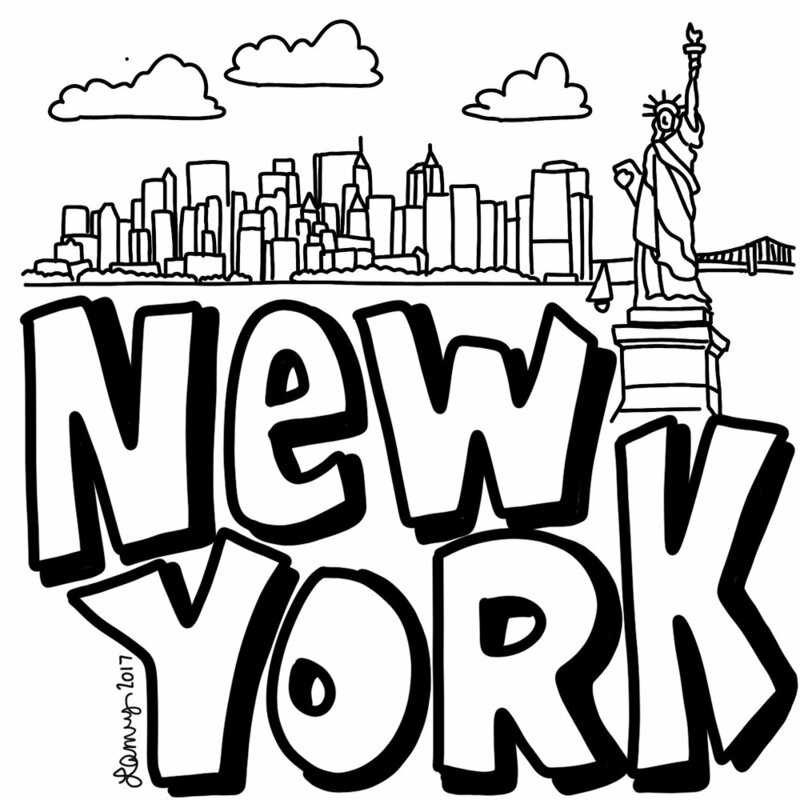 It took me a little under a year to complete and each of the 67 counties has its very own coloring pages. I'm not originally from Alabama and didn't get to take Alabama History in the 4th grade, so this was a really cool research project for me. Well, now I'm working on the Georgia version. It's not going to be called "Gorgeous Georgia", but if you have any other ideas for a good name, please shoot me an email and let me know. Anyway, Georgia has 159 counties (as opposed to Alabama's only 67), so this book will be structured a bit differently. Not ALL of the counties are going to have their own page - mainly for logistical reasons. 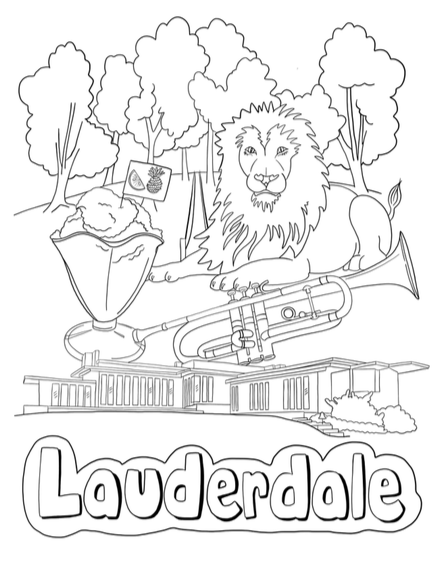 Nobody wants a 180 page coloring book that would probably cost $40! Not to worry - all of the counties will be represented. I actually grew up in Georgia - Athens, in fact. My Dad was in sales and used to drive those Georgia backroads all the time. He has been really instrumental in helping me figure out neat "off the beaten path" things to include. I'm about 1/8 of the way through right now. That's not as far as I'd like to be, but I'm having to do a lot of weeding through... Georgia has a TON of really neat things! I've been sharing a few things here-and-there on my Facebook and Instagram, so if you don't already follow me, you NEED TO. Hey, you've got to stay up-to-date with everything! One of the really cool things I had to include is in Athens (Clarke County). Did you know that there's a tree that doesn't belong to anyone? The (very edited) story goes like this: a man died and left a trust in the name of his favorite tree (yes, a TREE) so that it would be taken care of in perpetuity. This tree is rightfully called, "the tree that owns itself". Bulloch County, GA is home to the U.S. National Tick Museum at Georgia Southern University. Let me tell you - let felt like CHRISTMAS when I found that little gem! Cobb County, in north Atlanta, is home to the Big Chicken, a fast food beacon that has been around for over 50 years. At one point it was scheduled to be torn down, but the people of Cobb County pitched a fit and started a petition to save it! If you've never seen the Big Chicken, you really need to make a special trip. What neat things have YOU found along the backroads in Georgia that I need to make sure we see? 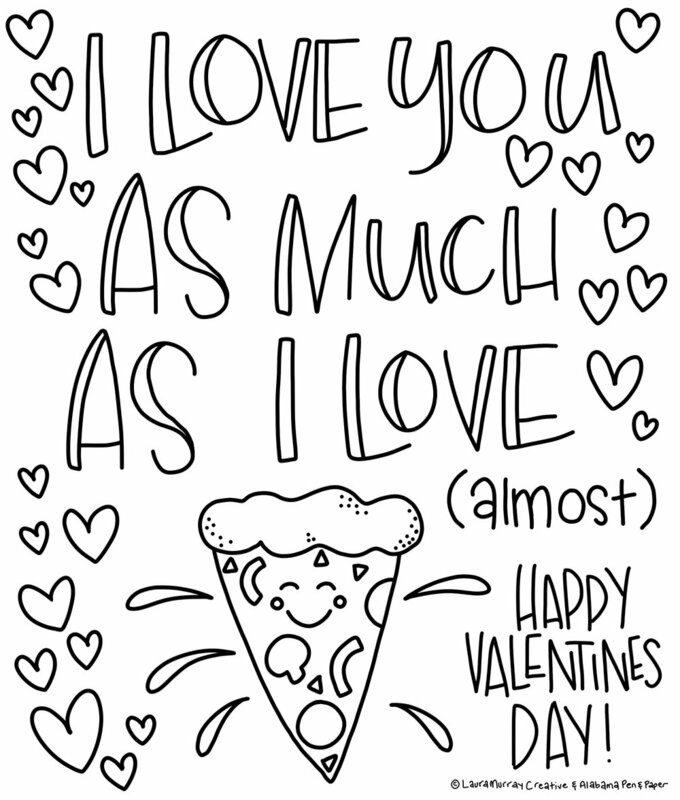 What would Valentines Day be without a cute little valentine? I think it goes without saying that crayons have had their day. Everyone has picked up a crayon at some point in their life and most of us remember the smell with fondness. Today I usually chose something other than crayons, but I'm not saying I don't ever use them (ok, I honestly can't tell you the last time I've picked up a crayon). Since the sharpened tip gets worn down so fast on crayons, they are really only good for coloring right out of the brand new box (unless you get one of those huge delux boxes that has the little sharpener on the back), or coloring large things - like the sky, the background, etc. Crayons are also wax-base, so there's no mixing them with other materials. The wax resists ANYTHING water based (markers, pens, etc.). Speaking of water based markers and pens, that brings me to one of the coloring implements I can't do without - Crayola Supertips. You can buy a set of 50 of these at Back-To-School time for about $3, or you can click on this link to order them on Amazon. I love these because they're cheap, they come in TONS of colors, they don't bleed through (most) paper, and they have this neat thick/thin tip so you can practice calligraphy (crayligraphy) with them. Another ink-based product that I REALLY like is a nice set of fine tip pens. My FAVORITE set is the Staedtler Triplus Fineliners (link here), but the more inexpensive Paper Mate Flair Pens (link here) work well too. They both come in oooooodles of great colors and are PERFECT for writing or coloring in those tiny hard-to-reach spaces. You can find these at Target or WalMart (as well as Amazon) and the prices are going to be comparable. But I would be remiss without mentioning (in depth) my favorite thing to color with - Prismacolor colored pencils. I bought my first set in 1997 when they were on my supplies list in college (fine arts classes) and I've never looked back. I have since bought several sets over the years to supplement my old ones (as I wear them out), but some of the originals are still around. Prismacolors are the best because they're professional grade and the lead (it's not actually "lead", but that's what I'm going to call i) has more pigment and less filler, so the color is richer and brighter. They can be layered, mixed, smudged, and you can draw over them with your fine tip pens (or markers) since they're not totally waxy (think: crayons). Now, you can use Crayola brand colored pencils if that's what you have - there's no requirement for buying the super fancy colored pencils. What I AM telling you though, is that once you use the good ones, you can totally tell the difference in the quality and the way they feel. My kids are completely spoiled and have to have to use my pencils when they have school projects... In their eyes - all others are inferior! One drawback is that these pencils are quite a bit more expensive than the generic or Crayola version. A tin of 72 Prismacolor colored pencils will set you back around $80 if you buy them in a Michael's or Hobby Lobby, but you can get the EXACT same thing on Amazon (this link) for under $25! 1) PRACTICE! Coloring is like learning and instrument or playing sports - if you don't practice, you're never going to get any better at it! 2) GO SLOW! It's not a race. 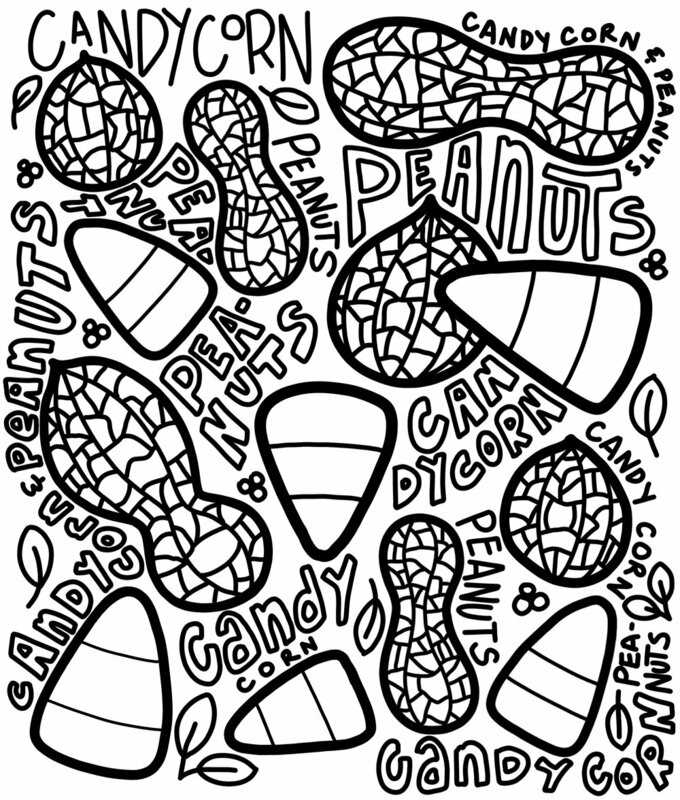 You don't have to finish the entire coloring book in 2 hours. Really take your time and build/blend your colors to get a really nice effect... without destroying the tips of your freshly sharpened pencils! 3) Keep your pencils sharp and re-cap your markers/felt tip pens. Coloring with sharp pencils gives you more control over where you add the color, and re-capping your pens should be a no-brainer! All the water-based pens/markers that we are using are going to dry out if left uncapped. Protect your assets and make sure your caps are securely fastened! 4) Always, always, ALWAYS test your ink first! I included a tester page in the front of my coloring book, but if the book you're using doesn't have one, just flip to the back page to test your markers. You need top make sure you're only coloring the image you intended to color - and not the page below (bleed-through). 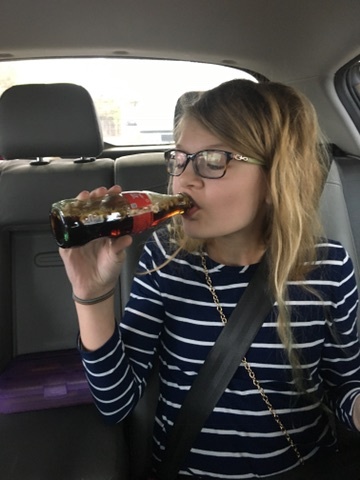 5) You don't always have to follow the rules. Coloring is about experimenting and trying new things, so have fun and get CREATIVE! So, this title is totally misleading. I'm no businesswoman. I didn't take any business classes in college. I failed (my only failing grade - but I STILL failed) economics (micro and macro... so maybe that's TWO failing grades - whatever) and only took enough math to suffice for my fine arts degree. For 15+ years I worked in the corporate design world and my schedule was all laid out for me. Fast forward to the summer of 2016 - I decided to branch out on my own... become my own boss... be a business owner. And not just any business - I wanted to be a work-from-home artist! It's incredibly rewarding, but I had no idea how hard it would be to WORK at home. At least if you go into a place of business, it's understood that you're there to work. When I go into my office at home, there are 50,000,000 (that's a lot of zeros... but totally accurate) distractions throughout the day. The dog needs to go out. The dryer just buzzed. Dinner needs making. The neighbor's dog got out of the backyard fence AGAIN and I've got to go take her home. Oh look - there's the mailman. Dad calls to chat. One of the kids wants a popsicle. I've gotta make lunch. Someone ran through the sprinkler (again) and I need to cover the wood floor in towels so they can change clothes. Needless to say, my productivity hasn't been quite what it should've been. 2 years later - here we are. I'm now in a place where I understand where I'm going wrong and I'm taking baby-steps toward a more productive business model. I'm still no business-virtuoso, but I'm working on it... slowly but surely. One thing I did today was open up my first business checking account. YAY ME! Next, my plan is to get all my business expenses (capital, licenses, software, office supplies, etc.) captured into a financial program like quickbooks or something. I think I'm going to set aside some time this afternoon to research those (as well as the one that I can sign up for through my bank). Any suggestions would be helpful. What other productivity tips-and-tricks do you have? Maybe MY #1 should be to schedule out my ideal day. That way I can account for design time, drawing time, business time (instead of putting THAT part off 'til I've got a mountain of stuff to sift through), and housework time. If you've been following me on Instagram (@alabama.pen.paper) or on Facebook (Alabama Pen & Paper), you will see that I've been trying to get in the Christmas spirit while listening to carols and drawing up some new Christmas designs for cards, stickers, gift tags, etc. But today I realized that I'm completely overlooking the best holiday of the year - Thanksgiving! So to celebrate (and ask the Thanksgiving turkey-gods their forgiveness) - I've created this sweet little FREE Thanksgiving download. 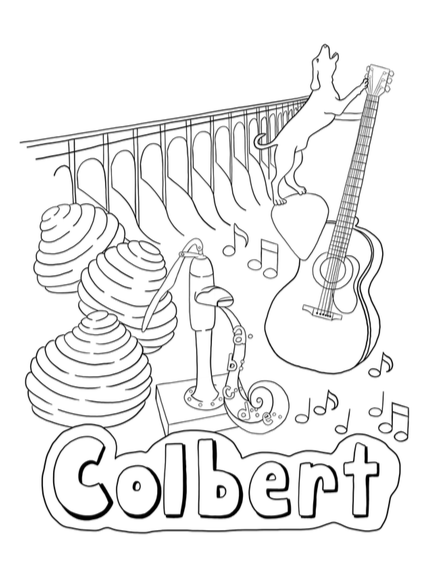 Click the image below to download a PDF file and have a super great time coloring!